I Can Run club is a unique women only running group. We have run sessions in Ipswich, Felixstowe, Needham Market, Stowmarket and are coming soon to Bury St Edmunds. 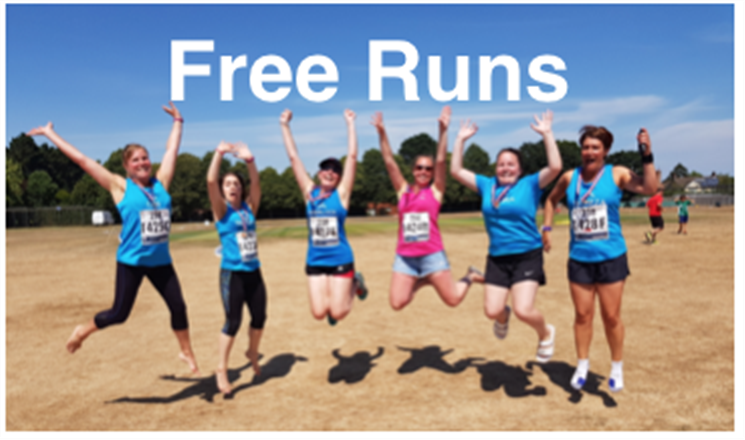 I Can Run NOW - A six week beginners run/walk programme for ALL women of any shape, size, ability and background. I Can Run THIRTY - An 8 week beginners programme that aims for 30 minutes of non-stop running. Free Runs - A FREE Run Leader led group run/session. Usually running or run/walking for up to 40 minutes per session. I Can Run FASTER - A 4 week improvers programme for runners and jeffers who are running 4/5k regularly and are looking to learn how to improve your times. TRACK session - a Run Leader led session at Northgate sports centre running track in Ipswich. An opportunity for you to join in with our speed drills or to have a run or walk around the track doing your own thing safe in the knowledge that you can do what you like in a lit, safe environmet.